When a rival nation sends troops to invade the Song Dynasty, the emperor sends general Yang Ye (Adam Cheng) to defend the nation. However, Yang’s place in the court is shaky due to a feud with Pan Renmei caused by the accidental death of his son at the hands of one of Yang’s sons. 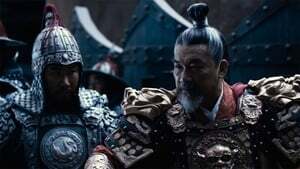 At the battle, Yang is abandoned by Pan’s troops, leaving him trapped in the face of an attack by Yeli Yuan (Shao Bing), an enemy general who wants to kill Yang to avenge his father. After learning about their father’s predicament, Yang Ye’s seven sons set out to rescue their father at any cost.